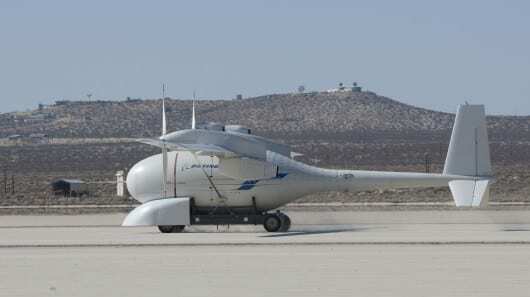 Boeing’s liquid hydrogen-powered Phantom Eye unmanned aircraft system has completed taxi testing at Edwards Air Force Base in California as it progresses toward its second flight. During the testing, which occurred Feb. 6, the Phantom Eye demonstrator aircraft sitting atop its launch cart reached speeds up to 40 knots, or approximately 46 miles per hour. The Phantom Eye team has also completed software and hardware upgrades to prepare for flying at higher altitudes. “We upgraded the autonomous flight systems and have achieved all the required test points in preparation for the next flight,” said Drew Mallow, Phantom Eye program manager. Additionally, the team improved the aircraft’s landing system following Phantom Eye’s first flight, when the landing gear dug into the Edwards lakebed and broke. “We’ve drawn on Boeing’s experience to come up with a solution, using our tactical fighter aircraft landing systems as an example,” said Brad Shaw, Phantom Eye chief engineer.